It takes many dedicated people to run our schools and help them be successful. Executive Assistant to the Superintendent Jim Haggart has been helping Tangent Elementary School start the day successfully this year. He spends a few hours at the school in the mornings to help things run smoothly. This year, Tangent Elementary has had many new faces in the building. 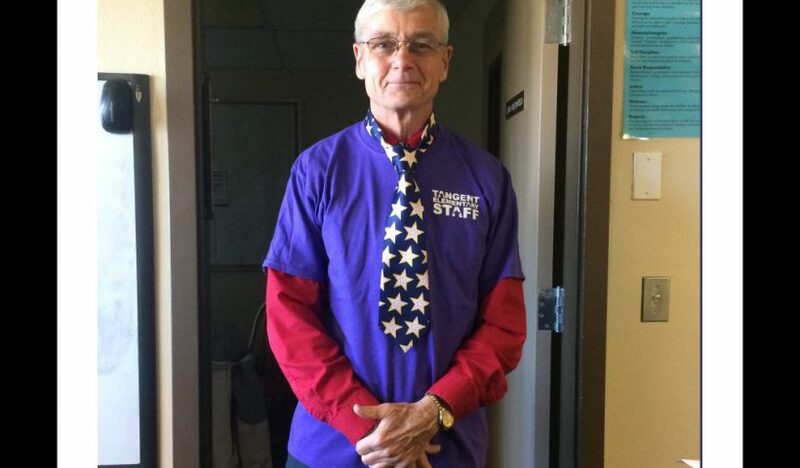 One in particular is Mr. Jim Haggart from our district office. We have had the privilege of his amazing support everywhere in our building from the front office, to the cafeteria, and throughout the classrooms. 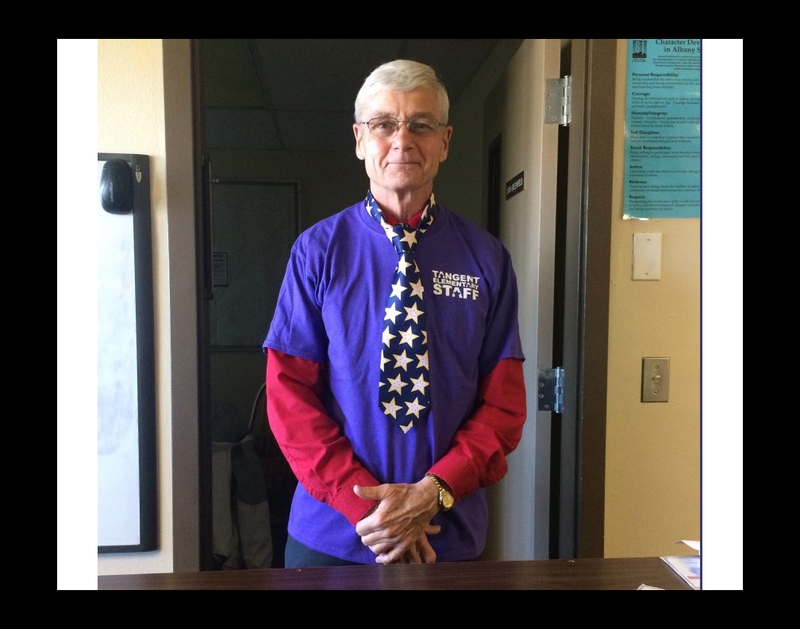 Today, he was recognized during our morning assembly by the staff and students with a Tangent Stars t-shirt and tie, as a special thank you for his ongoing support of our school. It gives us great pleasure to recognize him as part of our Tangent family and we truly appreciate his presence!